Yes, you can eat turkey eggs. They taste very similar to chicken eggs, but are richer. They contain approximately 135 calories, 9 grams of fat, and over 10 grams of protein. They are also an excellent source of iron, selenium, and the B vitamins. However, on the down side, turkey eggs are very high in cholesterol, averaging 737 milligrams, which is more than twice the daily recommendations. They also have 2.9 grams of saturated fatty acids, meaning one egg uses 13% of your daily intake. So why is it so rare to hear about people eating turkey eggs? To begin with, you generally can’t find turkey eggs in the store. Basically, you need to find a farmer who is raising turkeys, and allowing them to mature to the egg-laying stage. 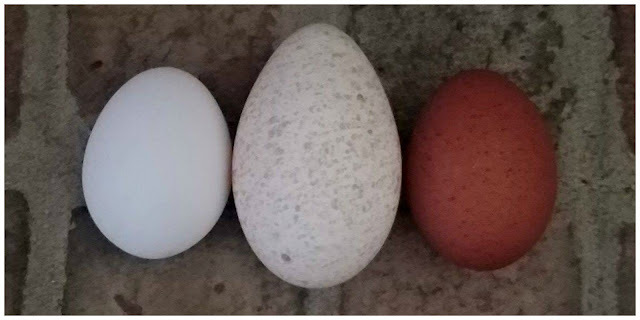 A turkey egg is approximately 50% larger than an average large chicken egg. Unlike chickens, who normally need 23-28 weeks, it normally takes a full seven months for a turkey to begin laying. Most farmers purchase turkey poults in the spring, and then slaughter right before Thanksgiving. This is right about the time the females would have begun producing eggs. Turkeys eat more on a daily basis than chickens, therefore increasing the cost of production of the eggs. Turkeys require a much larger housing area. You cannot keep them in a tiny coop, so if you don’t have a large barn to protect all of your flock, you will need a special place to keep them safe. A turkey will lay on average 100+ eggs her first year depending on breed. The average chicken will lay approximately 300 eggs her first year, then decrease by 20% each year after that. 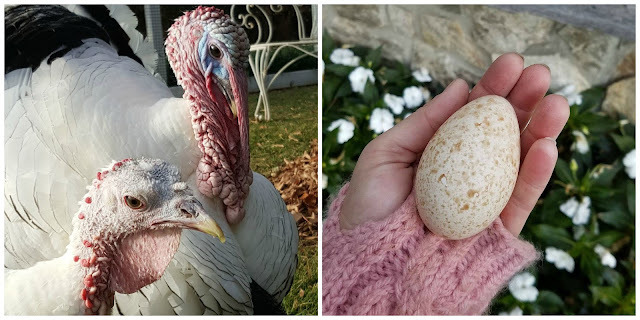 What if you have turkey eggs and don’t want to eat them? 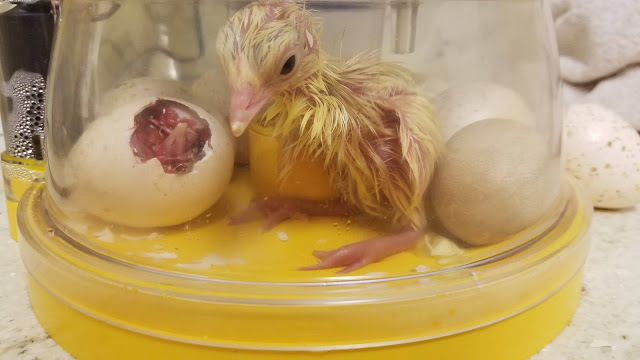 Due to the high demand for turkey meat in this country, generally speaking, farmers, who do allow their turkey hens to have a laying season, devote all the eggs possible for hatching, not eating. This will help cut down on their own expenses because they can incubate the eggs and start their next batch of poults from their own flock, or sell fertilized eggs to other farmers or hatcheries. Research shows that fertilized eggs, from heritage breeds, can fetch up to $3.00 per egg. Simply advertising your eggs on craigslist, or even at a local feed store may be a great way to earn some side income from your flock. The feed store may even be willing to purchase the eggs directly from you. 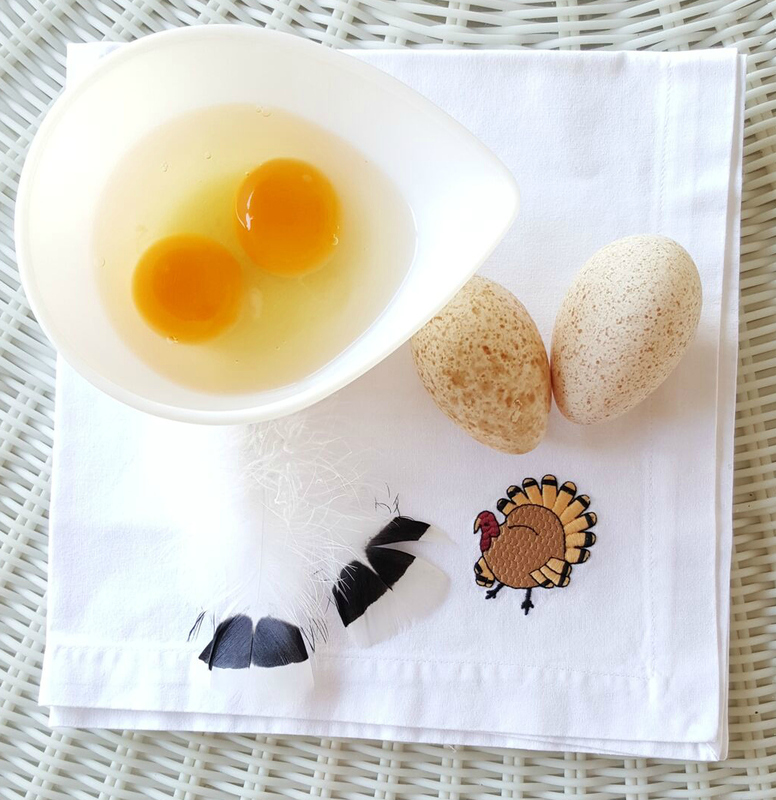 So, if you have turkey eggs available, you have a couple of options. I wouldn’t eat them every day, but in a pinch, absolutely. Baking with them is also a good option. However, if you can confirm they are fertile, your best bet may be to hatch them or sell them yourself.